I think just only both of them that know about the conflict. But after that it seems like they get close more and more. They always quarrel each others.. maybe cos mike behaviour.. mike like a little girl in man body while aom like strongest man in small girl body.. could you imagined what will happen when this two character met?? hehehehe. mike always churlish with every actions aom did to him.. she said it before in radio interview.. but mike always the one who apologize by giving her flower, candy, chocolate, and doll.. I heard they had a big quarell when they shoot fullhouse and they also post it in their twitter.. not sure what they fight but I think they already okay when they interviewed at proudnight show last december.. and after that they got closer and closer to each others now.. I am not sure if I quote this correctly so sorry if it breaks the rule. I just would like to try to translate Mike's message you posted above since I think he has a very interesting view here. Maybe Khun @kaprao might also correct me if I mistranslate anything na kha. I don't know about the original context of the message (maybe k. @kaprao may be able to help here na kha). Here it looks like he was responding to some criticisms about kissing scenes in the Full House series from some viewers (maybe that there were too many of them or that they were too explicit or harmful to society or young people, I'm not sure). His answer is this: "Then we should kiss with love. Does kissing hinder the progress of society? How so? Please explain :-) Moreover, if all teenagers can find good love like what happens in Full House, I think that's a good thing. I myself would like to find someone like Aom-am too. I think this series [with all the love/kissing scenes] encourages people to want to find their true love [rather than doing harm to them]. :-) xoxo ^^"
avrilcassiopeia said: Mike và Aom sẽ tham gia sự kiện 4G True Move H. Vào thứ năm ngày 17/04/2014, lúc 13h đến 15h. Địa điểm sẽ được thông báo sau anyone understand vietnamese? kaprao said: I think they mean the event of Mike and Aom on the 17 this month to promote 4G True Move H together in BKK. mona_k said:I am not sure if I quote this correctly so sorry if it breaks the rule. I just would like to try to translate Mike's message you posted above since I think he has a very interesting view here. Maybe Khun @kaprao might also correct me if I mistranslate anything na kha. I don't know about the original context of the message (maybe k. @kaprao may be able to help here na kha). Here it looks like he was responding to some criticisms about kissing scenes in the Full House series from some viewers (maybe that there were too many of them or that they were too explicit or harmful to society or young people, I'm not sure). His answer is this: "Then we should kiss with love. Does kissing hinder the progress of society? How so? Please explain :-) Moreover, if all teenagers can find good love like what happens in Full House, I think that's a good thing. 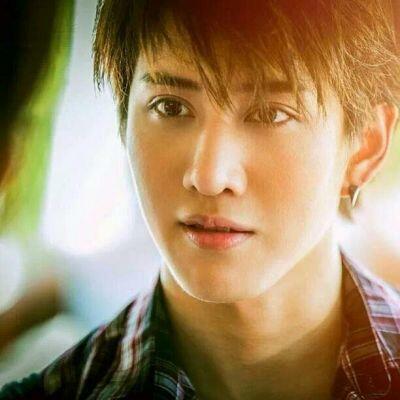 I myself would like to find someone like Aom-am too. I think this series [with all the love/kissing scenes] encourages people to want to find their true love [rather than doing harm to them]. :-) xoxo ^^"
kaprao said: The translation is right kaa. Mike always reply to this kind of comment politely. In the past, he was a shy boy and don't know how to behave to people because his career that has been started since he was very young. He past many good and bad experience that made him became a thoughtful one. His life has changed again when he was stared in Rak Boon 1 and I think right now he is more mature and reflect another side of him that is has a sense of humor. He said in an interview recently, that he suddenly feel happy and the fans teased him that "it may because you're falling in love." haha. i guess with him returning with Aom in 'Playful Kiss' will the chemistry exploded into something else? Mike answered "I'm not sure that i will be there or not, darling"
I am loving this couple more and more. the amount of picture and flirting are drivng me crazy.